This post may contain old screenshots of bliss which has been replaced by a new design. The basic structure of the user interface is similar though, so I'm keeping these old pages around in case they still contain useful information. The first release of 2013 and it's a whopper! bliss's cover art lookup should now be significantly faster, I've added genre dropdowns and fixed a number of small issues. bliss has been ported to use OneMusicAPI for its cover art lookup. 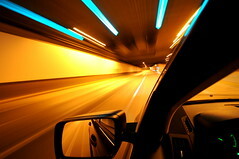 The chief benefit of this is faster cover art lookup, as well as offering slightly better coverage. The other big improvement are genre dropdowns. 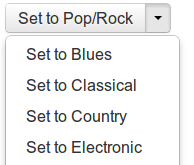 Now, when bliss suggests a genre and you have the genre consolidation rule enabled, the other genres are also listed. Furthermore, the genre text field on the album detail page is now a dropdown when genre consolidation is enabled, and if you start typing it even auto completes! New users should download the new release from the downloads page. Existing users can update bliss from within the application. Updating is improving to the extent it now appears possible to update without restarting, in most cases. If this doesn't work for you let me know, and if the update appears to break things, here's what to do. You can also download the latest installer and install it, replacing the current installation. Your existing fixes will be retained! Thanks to Viernest for the image above.